Posted on 06/04/2018 by Mickey McCarter	in Live Review and tagged Austin, EDM, electro house, future bass, progressive house, Texas, trance, Tritonal. DJ duo Chad Cisneros and Dave Reed, better known as Tritonal, present 10 Years of Enhanced 2008-2018 at Soundcheck on Thursday, June 7. The progressive house band are celebrating 10 years of making music with an extensive North American tour. It’s been a busy year so far for Tritonal, who have released no less than four singles so far via Enhanced Recordings, including “Calabasas” (with SJ featuring Tima Dee), “Out My Mind,” “Horizon” (with Seven Lions and Kill the Noise featuring HALIENE), and “Ready” (with Sultan & Shepard featuring Zach Sorgen). 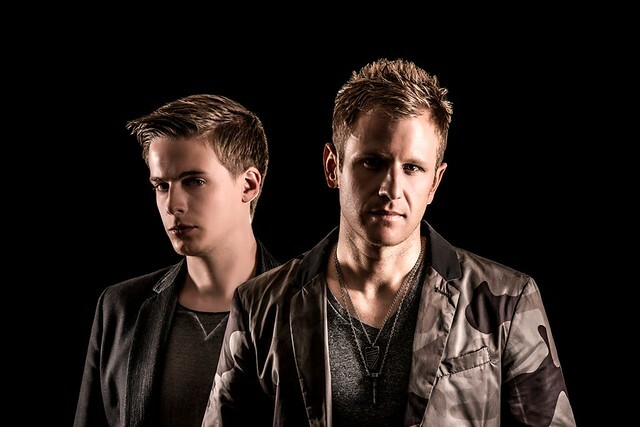 As Tritonal Chad and Dave have clocked 10 years as one of EDM’s most compelling, releasing their debut full-length album, Piercing the Quiet, in 2011, with eight Top 20 Beatport singles and five #1’s that reigned the Beatport Charts for more than three weeks. Formed in 2008, Tritonal spent their early days on premium imprints like Anjunabeats, before eventually landing at Will Holland’s Enhanced Music, which Chad and Dave now co-own.